On May 20, 2017 the Garden State Numismatic Association awarded the Watchung Hills Coin Club (Warren, N.J.) Coin Club of the Year. The club is also proud to announce that member Michael McKeever was named Numismatist of the Year! Established in September, 1982 the Watchung Hills Coin Club (WHCC) has gained the reputation of being one of the finest clubs in the state of New Jersey. Fraternity and knowledge are the main focal points of WHCC meetings with a roster of nationally recognized numismatists to those just starting out. WHCC also boasts a wide range of collector interest; everything from Ancient Greek to modern U.S., tokens, medals and paper money. The club library consists of several hundred books on coins and currency. The WHCC holds memberships in the American Numismatic Association and the Garden State Numismatic Association. For information on WHCC meetings and membership, please call (732) 469-0446. COIN BOARDS Not FOR SALE Though I did manage to purchase seven coin boards during the past quarter, three of these went into my own collection, while three others were placed to a want-list customer. The sole remaining board is unremarkable, and I bought it just to get the deal. Obviously, that’s not enough to warrant putting out a new sale list. I had more luck in getting some nice early folders, but again there weren’t enough to make a presentable offering. I certainly hope that this drought ends sometime soon, but that’s out of my control. In the mean time, information about some of the new board purchases will be found below under other headings. MARKET ACTIVITY The past quarter has seen some pretty interesting eBay listings of coin boards, though not all of them resulted in actual sales. A rare Kent Company board for Indian Head Cents, completely filled, was listed at $490 or best offer. The same seller also posted a nearly filled Whitman First Edition board for Lincoln Cents at $479 obo, and this sold for $379. A single seller offered three First Edition Whitman boards, two for Liberty Head Nickels that sold for $63 and $30, respectively, and a Barber Dime board that was offered at $45 but evidently was sold directly and de-listed. There were three partially filled Oberwise boards for Lincoln Cents in so-so condition that sold for the value of the coins. Of course, there were the usual listings of common, overpriced boards, and some of these are still available as this is written. I made a good purchase of seven coin boards at the Long Beach Expo in February. The seller had 11 pieces in all, but the prices were high, even after some negotiation, so I bought only the better ones. Three of these proved to be keepers, and they’re described below under Book Updates. Sold very quickly to a longtime customer were the following: 2322 L1¢Bd.2 F $50, 2324 O5¢Bk VF-NM $45 and 2325 O10¢Ak VF-NM $50. The first of these is a rare Lincoln Printing Company board with the Oberwise overprint, an item on several collectors’ want-lists. BOOK UPDATES The only new variety to surface was one of my Long Beach purchases, a new backing to the Oberwise Indian Head Cent board, O1¢An. I purchased three other boards just to add their delightful vendor stamps to my collection, and these are illustrated with this newsletter. Also illustrated is a hand-corrected address dating to when Joseph Oberwise moved his store across the street around 1939. This photo was sent to me by collector Chris Buck. Finally, I’ve included the front cover from the inaugural issue of Krause Publications’ trade magazine, The Coin Dealer, an item I’ve been seeking for some time and was finally able to purchase. Debuting in 1963 and now long forgotten, its first issue depicts a Kent Company board for Lincoln Cents from 1935. No, it’s not a new color variety; KP just took some liberties with the photo to accommodate its two-color printing process! MY NEW BOOK IS FINALLY AT THE PRINTER! After more than a year and a half of work, Volume Two of my book series on coin albums is complete and has gone to the printer. This one details the very popular Library of Coins line of albums and its little brother for beginners, the Treasury of Coins. Also included are histories of Capitol Coin Company and its publishing division, The Coin and Currency Institute, as well as a biography of founder Robert Friedberg and his family. This is a deluxe, hardcover book of quality similar to that of Volume One. Among its 144 pages are 64 in full color that illustrate all of the C&CI product line in detail. Attached is a flyer illustrating the book’s cover and providing ordering instructions. Please note the pre-publication price that is valid until May 1, as well as the reduced prices on my earlier books. ON THE ROAD AGAIN I’ll be at the Whitman Baltimore Expo March 31-April 2, the CSNS Convention April 28-30 and the Long Beach Expo June 9-11. I anticipate having my new book for sale at the latter two shows. Continuing his highly acclaimed series of books about coin boards and albums, numismatic researcher David W. Lange has written Coin Collecting Albums – A Complete History & Catalog Volume Two: The Library of Coins and the Treasury of Coins. In addition to providing detailed catalogs and photos of both coin album lines, this book provides a history of their publisher, The Coin and Currency Institute, and an entertaining biography of the company’s founder, famed coin dealer Robert Friedberg. Richly illustrated, this new book has 144 heavy and coated pages, including 64 pages in full color. It is a deluxe, hardcover volume that will last for many years. The list price is $49.95, but this beautiful book is being offered at the pre- publication price of $45 until May 1, 2016, which is the expected delivery date. Shipping is additional at $10 for priority mail in a rigid, protective box. Also available from Lange’s PennyBoard Press™ are his two previous books. Coin Collecting Albums – A Complete History & Catalog Volume One: The National Coin Album & Related Products of Beistle, Raymond & Meghrig. Published at $75, this deluxe, hardcover book is now available at just $49.95. Coin Collecting Boards of the 1930s & 1940s: A Complete History, Catalog and Value Guide, published at $39.95, is now just $19.95. Shipping is the same as for the new book. Call or write for combined shipping of two or more books. All books purchased from David W. Lange will be signed, unless requested otherwise, and personalized inscriptions are available upon request. Payment may be made by check to David W. Lange or via PayPal to langedw@msn.com. David W. Lange may be contacted at POB 110022, Lakewood Ranch, FL 34211 or by telephone at 941-586-8670. If you are new to the hobby, or if you are returning after many years, beginning a coin collection can be a daunting task. But, it does not need to be. After 50 years of collecting, I can attest to being frustrated at times. What should I collect? How do I acquire them? Should all my coins be the same condition? Do I have to complete the set? If you are over whelmed by the sheer quantity of denominations why not try a Type Set? 2. Pick a coin that has few (if any) rare dates. One of the easiest collections to complete would be the Jefferson Nickel set (1938 to date). With the exception of the “War” nickels (1942 to 1945) there are no silver coins. This series also has one of the longest current runs, so you can still find many older dates in change. (You will find that in this series the album you need to collect the coins cost more than the most expensive coin).Another suggestion would be the Roosevelt dime or Franklin half dollar. The prices you pay for these sets will be very much dependant on the price of silver. 3. Another interesting way of collecting is to pick a personally significant year and try to collect all the denominations and mint marks. This, of course, can be very challenging for some years (most notably -1916 and 1921). On those tougher years you might want to do only select mints. Do you have a great aunt or uncle that was born in 1935? Then collect the best condition 1935 coins you can afford. 4. 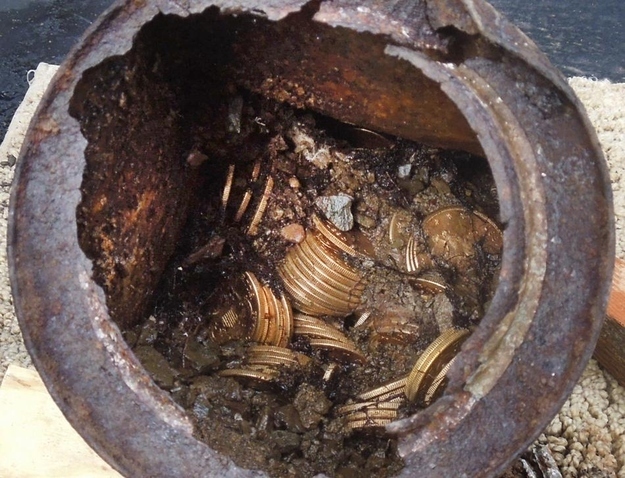 You could also consider collecting damaged or off-conditions coins. This is a great way of collecting older coins without breaking the bank. Several years ago I purchased a large collection that consisted of not only collectible grade coins, but also coins with holes in them. After obtaining a few more holed coins I decided to attempt to complete a 19th and 20th Century Type Set of ‘holy” coins. It took the better part of 20 years, but I finally completed the set last year. Strangely, one of the last coins I needed was a Jefferson nickel. Several of my customers said that they could fill the hole in about 2 minutes. But my rule was that I had to find a pre-existing holed coin. It really isn’t a bad looking collection. Without considering the hole, many would grade out XF or AU. 5. You may want to consider collecting a Year Set of coins. Invariably, there is one or two coins in most sets that would require a second mortgage to obtain. For example you could try to collect the complete set of Morgan dollars only to find that the years 1893 to 1895 could break the bank (if you wanted all mints). But by collecting only one coin per year you can pick and choose the mint that you can afford. Dansco makes a very nice year set album for dollars. 6. My final suggestion is to do what many collectors prefer – collect any coin that appeals to you! Don’t worry about “completing” a particular set. There are so many types of coins minted around the world that choices of attractive designs are almost endless. I have had many young beginning collectors in my shop that started with coins that had interesting designs or shapes (ie. Animals, coins with holes, etc.) Your imagination is the limit as to what to collect! There are several different methods of housing your collection…but that is a future topic. During the mid to late 1830’s our coinage underwent a number of changes. The first of these began with modifications to the cent in 1835 and again in 1837. In 1836 silver dollar coinage was resumed. It portrayed a Liberty Seated figure with no stars on the obverse. The reverse depicted a soaring eagle in a sea of 26 stars. It was engraved by Christian Gobrecht. In 1837 the Capped Bust dime and half-dime was replaced by the Liberty Seated no stars type and on the reverse the eagle was supplanted by a wreath. 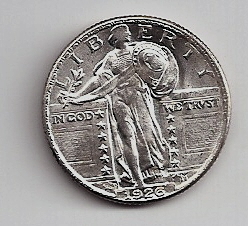 The diameter of the dime was reduced from 18.5 mm to 17.9 mm while the half dime remained the same. In 1838 the Liberty Seated (with 13 stars added) was placed on the quarter and in 1839 it was the half dollar’s turn. The Gobrecht dollar also underwent further modifications in 1839. Finally, there were no less than five important modifications made to the Coronet type large cent in 1839. These have become popularRed Book varieties among cent enthusiasts. The reader will observe that among the two sides of the basic 1839 year set shown and directly above there are two different types for the half dollar denomination; the outgoing Capped Bust-Reeded Edge and the new Liberty Seated types thereby continuing the annual parade of transitional date designtype pairings begun in 1837. The Cents: In 1839 Chief Engraver Christian Gobrecht made several modifications to the cent design. First we have the 1839/6, a scarce variety (actually 9 over inverted 9; probably made in 1836). It shows a plain hair cord which was discontinued in 1837. The second is the “Head of ’38”, similar to what appeared later in 1837 as the beaded hair cord subtype. This was followed by two less successful 1839 renditions nicknamed the Silly Head and the Booby Head. Unlike the previous, both display a protruding curl on the forehead. The Booby Head however shows no hair at all at the lower right of Miss Liberty’s coiffure. Gobrecht made still another modification on the large cent in 1839, known today as the Petite Head. This became the standard smaller head type large cent appearing on the large cents from 1840 on. When the resumption of dollar coinage was authorized in 1835, the new Mint Director Robert Maskell Patterson wanted a seated figure resembling the Britannia design that appeared on British coinage. He asked renowned portrait artist Thomas Sully to draw up a sketch. The first dollars dated 1836 and the dimes and half dimes of 1837 showed Chief engraver Gobrecht’s rendering of Sully’s conception but without the thirteen stars that had surrounded the earlier Bust type coinage. In 1838, Mint Director Patterson decided to restore the thirteen stars to the obverse of the coins; possibly to avoid confusion between British and US coinage. As a result the 13 stars appeared on the obverse of the half dimes, dimes and the new quarters struck later in 1838. In the second half of 1839 the design type of the half dollar was changed from Capped Bust- Reeded edge to the Liberty Seated type along with a small number of 1839 proof silver dollars that were put into circulation; some presumably given to members of Congress. The Dollar: Arguably, the most exquisite coin of 1839 is the Gobrecht dollar design type. Originally, this coin, like the 1836 dated no stars on the obverse versions, was thought to be a pattern since only 300 proofs were made, but due to the research of Robert Julian and others, it was determined that both the 1836 and ’39 issues were bone fide coins of the realm having been placed into circulation despite their respective low mintages. Since the stars had been restored to the obverse on all the other silver denominations including an 1838 pattern Gobrecht dollar, it was no surprise to see this feature continued on the dollar in 1839. The 26 stars originally surrounding the soaring eagle on the 1836 Gobrecht dollar were removed leaving the eagle soaring in an empty field surrounded by the legend, UNITED STATES OF AMERICA and ONE DOLLAR below. In later years a number of restrikes were made like the one pictured above and these are likely to be more available if you consider a coin priced at more than $20,000 within your budget. While the vast majority of us will never be able to afford such a coin, the 1839 dollar is a beautiful work of art and it is a pity that the design was wholly emasculated in 1840. The Half dollar: There was some dissatisfaction by the critics when the new design type appeared on the half dollar in 1839. It was thought that Miss Liberty was insufficiently clad, especially on the side of her gown just above her knee at her waist directly below her elbow. This was most noticeable on the half dollar as it was the largest circulating coin available to the public. Gobrecht was asked to add drapery over the waist and under the elbow on the right. He also reduced the size of the rock on the lower left side of the coin rendering it further away from the lowest star at the left as well. The minor Silver coins and the Quarter: The Liberty seated half-dimes, dimes and quarters of 1839 were unchanged from 1838 except for the date. All are represented by the no drapery subtype that would be ‘rectified’ by mid 1840. None of these denominations are unduly expensive up through AU-58. Two of the most important figures connected with the creation of our 1839 Liberty Seated coins are shown here. Below is a self portrait by the renowned painter, Thomas Sully who sketched out the Liberty Seated figure and below is Christian Gobrecht who engraved it onto the dies for our coins. Each artist forged successful careers in their respective fields and were among the few persons responsible for creating the short-lived Gobrecht dollar series of 1836 and 1839. It is a pity that this low mintage 1839 dollar coin, easily the most desirable of all denominations struck that year, is the one coin of the entire year set most collectors are least likely to own. A currency dealer on his way home after a attending the recent White Plains New York Coin Show was the victim of a vehicle burglary which resulted in the loss of over $500,000 in collectible currency. The suspects smashed the windows of the vehicle and removed briefcases containing the dealer’s inventory. A list is being compiled by the victim which will contain serial numbers on the majority of missing notes. corporation. P.O. Box 14080 Arlington, Texas 76094. Here are the details of a White Plains, NY currency theft. You can sign up for the alerts at www.numismaticcrimes.org. This might seem like a pretty basic question to pose on my first coin collecting blog, but I have found that it is not as simple as you may think. I have been collecting coins since I was 8. Like many of us baby boomers I started when I got my first newspaper route. Checking out all the loose change for the elusive rarity. The occasional Buffalo nickel would make my day. But my perspective will be very different from those 8 year olds that come into my shop today. It’s not just that the dimes, quarters and halves that I was checking out in the fifties happened to be silver. Coin collecting 50+ years ago was a hobby more than an investment. Sure, the coins I was smart enough to put away did appreciate. But that isn’t why I collected. For me it was the thrill of the hunt. There were plenty of common dated coins that I had a hard time locating. When I was able to find one to fill a hole in my collection – I was thrilled. In 1981, after working seven years at a local bank as a trust officer, I decided to turn a hobby into a business. I opened my shop (Doelger’s Gallery of Coins) in Warren, New Jersey. I couldn’t have done it without the support of my incredibly understanding wife of two years. A lot of changes have occurred in coin collecting since then. Very often a family will drop by my shop to check it out. The first thing I do is ask the kids what they collect. More often than not, one child will let me know in detail all his (or her) collecting interests. But another has absolutely no collecting desire. Sometimes a History teacher proves the motivator. Or possibly old Uncle Bob. I am very interested in why today’s collectors collect. Was there a specific coin that caught your eye? Was there a period in which you stopped collecting? If so, why? How did you house your first collection? Whitman folder? Shoe box? Pete's Coin Thoughts · Random musings from an experienced (old) coin dealer.